Since the 1980s, British-German cooperation was referred to by observers in both London and Bonn (later Berlin), as the ‘quiet alliance’ (stille Allianz). A partnership that was running smoothly without seeking or receiving undue attention. Within the triangle of major bilateral defence relationships in Europe between France, Germany, and the United Kingdom, the Anglo-German relationship remained the one that was the least institutionalised and the least affected by symbolism. However, given the centrifugal forces now at play in European security, it seems appropriate for the UK and Germany to play a bigger role in shaping future security and defence arrangements in Europe, and the capabilities that underpin them. Quietly working away no longer seems to be enough. The UK’s exit from the European Union and the almost complete withdrawal of British forces from Germany, expected to be completed within the year, will mean that the partners will have to work harder to maintain their close defence links. With transatlantic relations under severe strain on the eve of NATO’s 70th anniversary and European security challenged from a number of directions, the bigger powers in Europe have to lead. In October 2018, the defence ministers of Germany, Ursula von der Leyen, and the UK, Gavin Williamson, signed a so-called “Joint Vision Statement” (JVS) that is meant to drive forward bilateral defence cooperation covering topics such as interoperability, training and exercises, capability development, and cyber. This statement had been a long time coming. In fact, already the 2016-17 annual report of the UK Ministry of Defence mentioned that the joint vision statement had been finalised and was awaiting signature. Apparently, German diplomats were concerned to press ahead with closer bilateral cooperation while Brexit negotiations were underway, only changing their views once other EU member states signed bilateral defence cooperation agreements with the UK, such as the Anglo-Polish treaty on defence and security cooperation from December 2017. 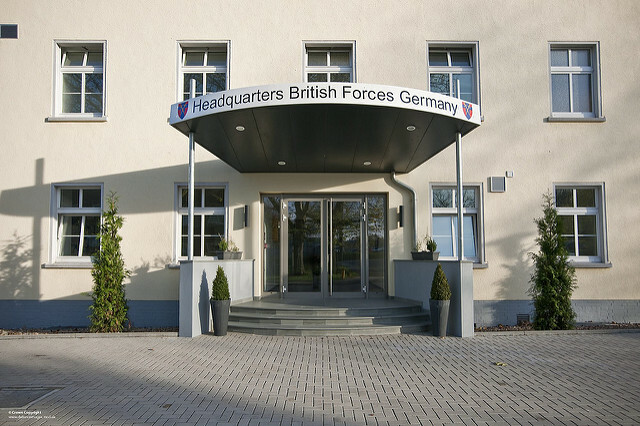 At a British-German defence bilateral at the end of February 2019, ministers were briefed on plans for implementation across the different military domains, with many of the briefings reportedly being delivered by joint British-German teams rather than the more traditional set-up where each country would present its national perspective. The JVS itself is a very short document that does not provide any detail on projects and ambitions. A substantive roadmap to guide activities exists, but is not publicly available. It seems though, that at this point, specific ideas for some areas (such as cyber) still need to be developed; overall not surprising given that it is still early days for the JVS. Perhaps there is an opportunity to use the momentum of the bilateral defence relationship that has developed over the previous six months for more visible work. The apparently good personal relationship between the two ministers could help. Additionally, both London and Berlin share a degree of disquiet and anxiety about the grand designs French president Emmanuel Macron has put forward on security and defence. Yet, so far, they do not provide alternatives. Franco-British defence cooperation under the Lancaster House treaties from 2010 has stalled and some of the projects launched under this guise have hit a dead-end, for example on uninhabited air systems. Franco-German cooperation has seemingly been revitalized by the Treaty of Aachen from January 2019 and the decision, dating back to 2017, to work together on future combat air systems and the main ground combat systems (replacing existing main battle tanks). Initiatives of consequence seem to be limited to Franco-German cooperation for the time being. And yet: the German government’s implementation priorities for the Aachen Treaty fail to mention security and defence issues except for a desire for closer coordination at the UN. Industry and government sources are already pointing to a growing set of obstacles, ranging from Germany’s restrictive arms export policies, potentially depriving France of lucrative export markets for jointly produced defence equipment, to France’s desire for industrial leadership and unwillingness to open the bilateral cooperation to other partners with competitive industrial players such as the UK. In closed door meetings French officials point out that Germany should not impose its own arms export position on partners, whereas the German side argues, what France really wants is not partners but clients. On balance, there seems to be a vacuum that a more ambitious Anglo-German cooperation could fill, although this will prove challenging. Like France, the UK is concerned about Berlin’s policy on arms exports, as a blunt letter sent by foreign secretary Jeremy Hunt to German foreign minister Heiko Maas on 7 February 2019 underlines. Germany’s budget planning documents discussed in Angela Merkel’s cabinet in March, signalling that defence spending increases would stall beyond 2020, will certainly not help to portray Germany as a committed partner in NATO either. The UK has grossly mismanaged the process of exiting the EU and the soaring rhetoric of a UK roaming the globe in search of influence and markets cannot but irritate interlocutors in Berlin who will compare the ambition with the obvious lack of statecraft on display during Brexit negotiations. Against these odds, British and German leaders should try to address two big questions. First, as two countries with a deeply embedded Atlanticist outlook, they should lead Europe’s debate on how the European members of NATO and the members of the EU can provide for their own defence. The goal is to channel the conversation away from an unhelpful focus on autonomy, ultimately understood as independence from the US, towards a focus on what capability portfolios are needed to respond to the threats Europe is facing. They could give this a practical dimension by introducing an appropriately sized and shaped capability package into NATO. Second, they might wish to work together across political, industrial and military arenas to make sure that the British exit from the EU does not weaken European security. Germany’s role here would be to advocate within the EU for rules and regulations that are designed in principle to enable, rather than exclude third party participation, in activities under the EU’s Common Security and Defence Policy (CSDP) and within the framework of the newly established European Defence Fund (EDF). The UK can make a strategic difference and this fact should be recognised, even if it means the EU’s position that all third parties are created equal has to be adjusted. The UK on the other hand will need to signal that it wants to be more constructive outside the EU when it comes to CSDP then it was when it was on the inside. Not an insignificant psychological barrier to overcome, for sure. However, making a voluntary financial contribution to the EDF that is slightly above what would be considered the UK’s fair share and declaring certain enabling military capabilities as being earmarked for the EU force pool to meet CSDP headline goals, would make it hard even for the sceptics to maintain that London was not serious about its commitment. In the past, Germany and the UK worked quietly to advance shared interests. It might be time to make some noise. Niklas Ebert is a MA student in the War and Conflict Studies programme at the University of Potsdam and worked as a research assistant in the Defence and Military Analysis Programme at the IISS in February and March 2019. Dr Bastian Giegerich is the Director of Defence and Military Analysis at the IISS. From 2010 to 2015 he worked for the German Ministry of Defence and the Bundeswehr.